Heeseop Yoon was born and raised in Seoul, Korea. She holds her BFA from Chung-ang University, Seoul, Korea and MFA from City College of NY, NY. 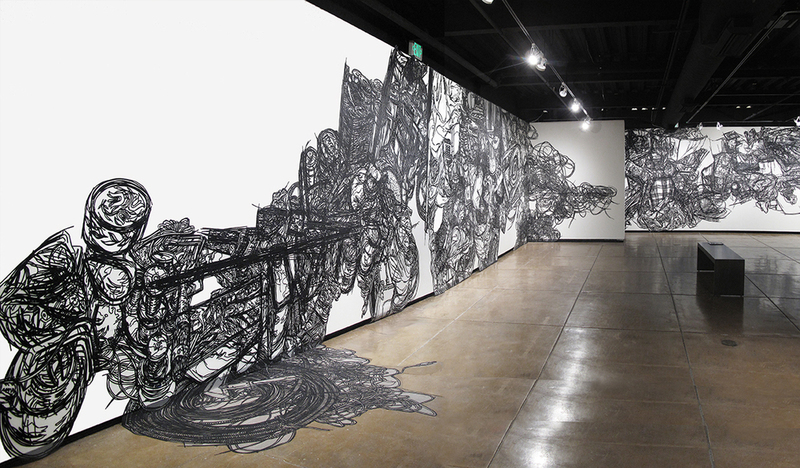 She is known for her large-scaled line drawing installations and also very intricate black and white drawings. She has had solo and two-person shows at Triple Candie, March Gallery, and Bose Pacia, all NY; Arario Gallery, Seoul; University of North Carolina at Chapel Hill; Monmouth University, West Long Branch, NJ; OZ Arts, Nashville, TN; and in Solitaire with Sara Berman at Sapar Contemporary, NYC. She has recently also shown with Nuanced, Dedee Shattuck Gallery, Westport, MA; TRAVERS, William Holman Gallery, NY,NY; Crossing Borders, Periphery Space Gallery, RI; and Drawing in Space, Des Moines Art Center, IA. She has exhibited in museums and art centers internationally, including MASS MoCA, North Adams, Massachusetts; John Michael Kohler Arts Center, Sheboygan, Wisconsin; The Bronx Museum, NY; Seoul Arts Center, Korea; China Association for Science and Technology (CAST), Australiaand Media Art Center, Beijing, and has participated in several residencies such as the Lower East Side Printshop, Marie Walsh Sharpe Art Foundation; Skowhegan School of Painting, and Artist Alliance Inc., all NY, and Stiftung Künstlerdorf Schöppingen Germany. 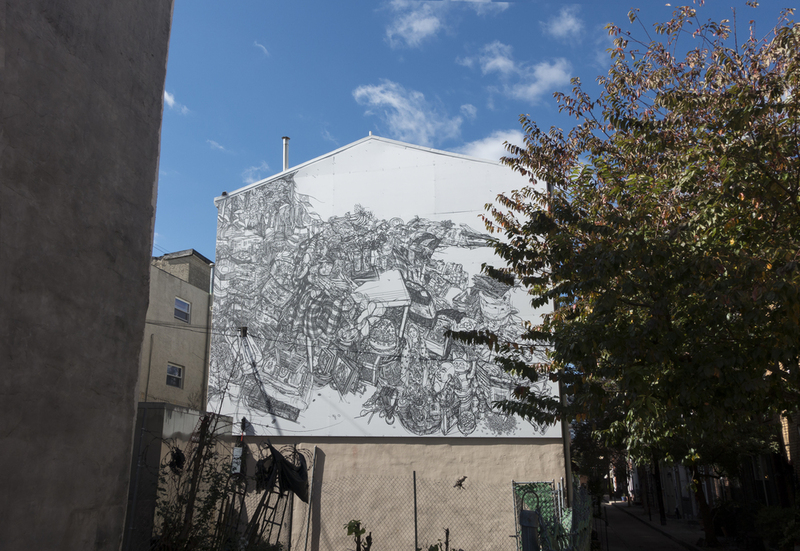 She completed her first public mural installation in Italian Market in Philadelphia and had a recent solo exhibition at Cityway Gallery, Indianapolis Museum of Contemporary Art, IN. She currently lives and works in Brooklyn, New York.